With over hundreds of wedding and events, I have photographed in some of the very best venues, including the Guild Inn, Island Yacht Club, 2nd Floor Events, Fairmont Royal York, The Art Gallery of Ontario, Gladstone Hotel, Graydon Hall Manor, University of Toronto Hart House & Knox Collage, Eglinton Grand, Evergreen Brickworks, Berkeley Church, Berkeley Field House, Steamwhistle Roundhouse Brewery, Palais Royale, Omni King Edward Hotel, Novotel Hotel, One King West, The Distillery District and The Fermenting Cellar, just to name a few. I have also photographed in the surrounding areas and are familiar with many GTA photo locations and beyond, such as Mississauga, Niagara On The Lake, Muskoka, Hamilton, Burlington, Oakville and more. Additionally, many venues in the GTA have been featured in our photo sessions, from engagement sessions to weddings, such as: the Scarborough Convention Centre, Mississauga City Hall, Glen Abbey Golf Course and many others. Browse through the list of venue suggestions for more ideas. I am also available for travel for destination weddings and have photographer in places such as Thailand, Mexico, Honduras, United States, Dominican Republic and more. If you are looking for the best Toronto wedding venues, I have compiled a list of some of my favourites. I hope it gives you ideas, inspiration and practical help in your search for the perfect spot. Built into the old Dominion Bank Building, One King West Hotel & Residence offers a bold, luxurious space for events of all sizes. There is no limit to your options here, from intimate gatherings to grand ballroom settings. Take a look at their room options, like The Vault, Grand Banking Hall and Austin Gallery, to name a few. Located near the Don Valley, Evergreen Brickworks has every facility you need. Situated in lush ravines, this series of historic buildings offer ballrooms, reception areas and gorgeous outdoor pavilions – think of the photo opportunities! The Gladstone Hotel is a charming building that fits right in amongst the West Queen West neighbourhood. Originally built in 1889 and updated in the early 2000s, this hotel offers the perfect blend of Victorian charm and urban architecture. Filled with contemporary art, this full-service host is for those that won’t compromise between the city’s history and modern tastes. Venues near the Don Valley offer landscapes you just can’t find in the downtown core. While Graydon Hall Manor may cater to boutique size weddings, there is no shortage of grandeur. The manor sits on a sprawling estate and ensures guaranteed sophistication for your big day. Hart House is a special opportunity for true Torontonians. This elegant stone building is a part of the University of Toronto campus and has several picturesque backgrounds. From castle-like halls and courtyards to the nearby Queen’s Park, Hart House means old-world charm with all the modern amenities. 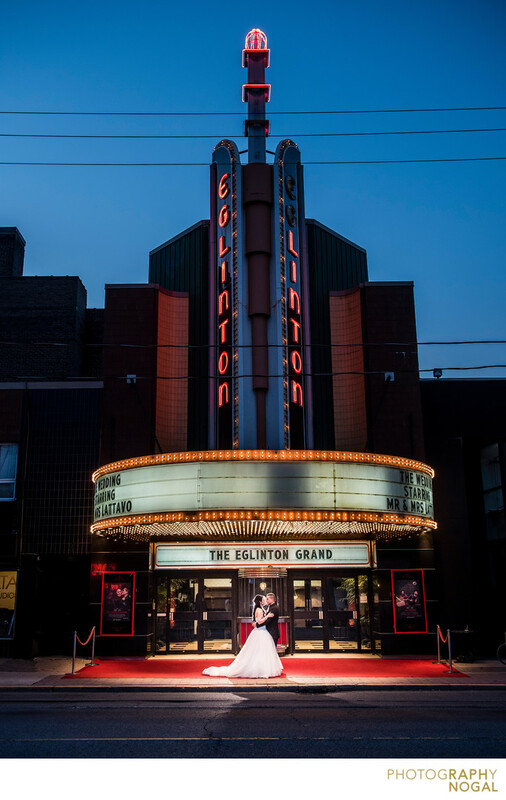 The Eglinton Grand is for all those couples that love the glamour of the 1920s and old Hollywood. Formerly the Eglinton Theatre, this place boasts a luxurious Art Deco interior, complete with vintage movie theatre charm. 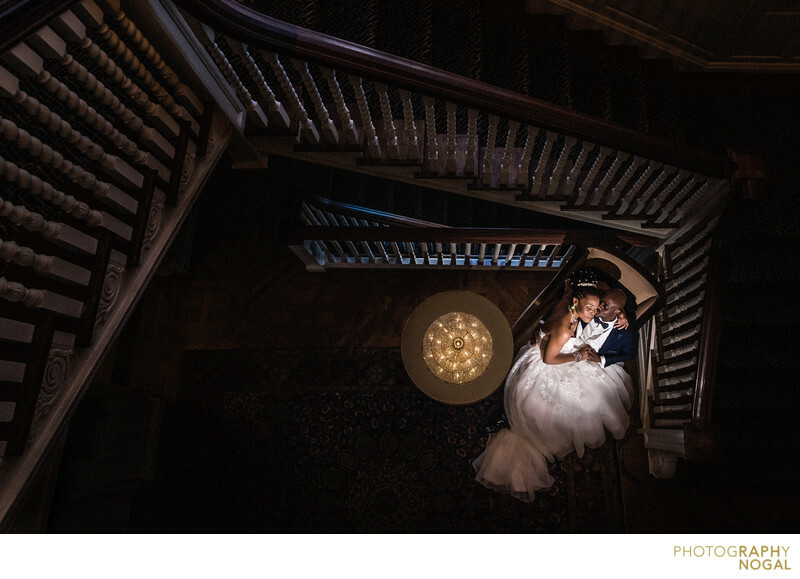 It hosts intimate to large ceremonies and lends perfectly to the Raph Nogal Photography style. Berkeley Church on the east end of the city is, simply put, stunning. Originally built in the late 1800s, the church keeps all its historical elements while still offering modern services. The grand ballroom boasts fireplaces, grand arches and beautiful stonework, while the mezzanine has enormous stained glass windows and overlooks the main level. Don’t forget to make use of the courtyard and wine cellar, too; so many jaw-dropping backdrops. The Berkeley Field House is a beautiful backdrop right in the heart of Toronto. Perfect for indoor and outdoor weddings, the rustic charm includes a creek, gardens, and even a tree house! This venue is a must for those inspired by a country feel within the city. The Roundhouse, now part of Steam Whistle Brewing, was once home to the steam engine trains of the city in the 1800s. Now it’s a city landmark of urban culture, industrial design, and really good brews. This spot is perfect for fans of an urban, industrial style in the most beloved parts of the city. It can accommodate events of many sizes and is conveniently located near the major tourist attractions, like the CN Tower and Ripley’s Aquarium. 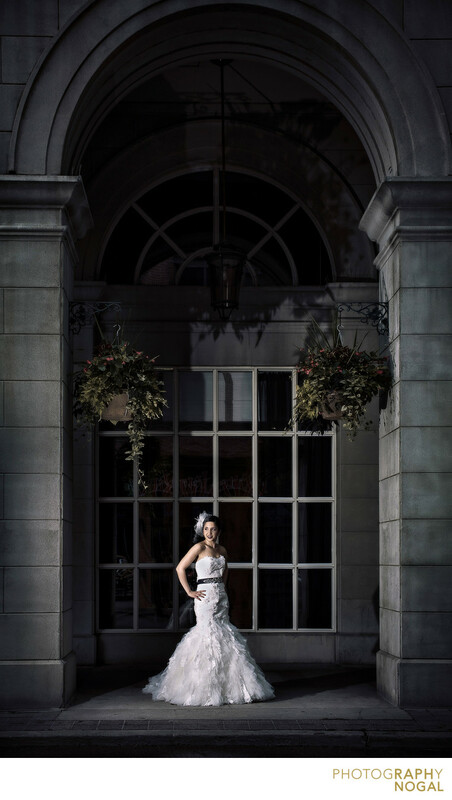 Affectionately dubbed the ‘King Eddy’, The Omni King Edward Hotel is a popular wedding venue in Southern Ontario. Conveniently able to host guests right in the hotel, the King Eddy has several ballrooms that can hold large parties. The hotel specializes in wedding packages and offers exceptional service. While some city goers favour the west end, Yorkville or the downtown core, The Fermenting Cellar is an excellent choice for couples that love the Distillery District. There’s tons of picturesque settings here and all the industrial charm you expect from the Distillery: wood beams, exposed brick and metal framing. The Fermenting Cellar offers several options for different event sizes, so everyone will be all set here. 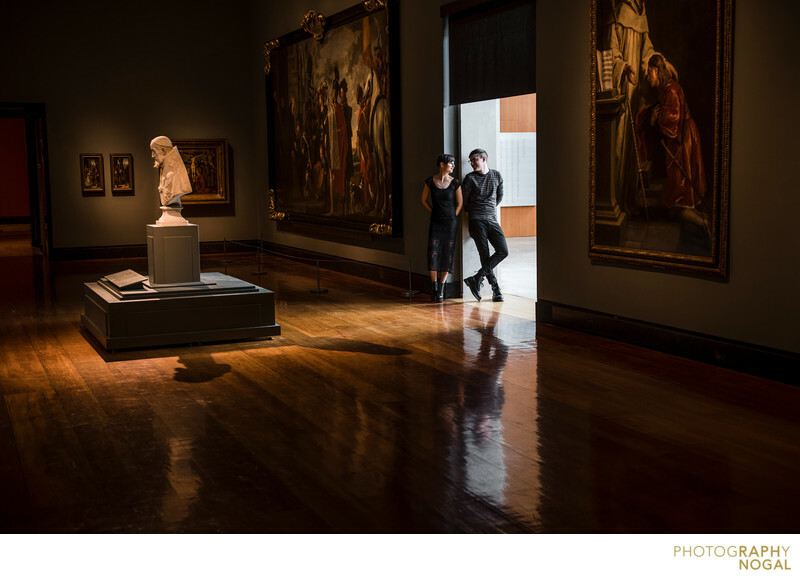 The Art Gallery of Ontario is one of the most well-known Toronto landmarks out there. Designed by Frank Gehry, architect and Torontonian, this gallery has incredible potential. An intimate ceremony amongst the art or an extravagant celebration in the larger galleries, a wedding at the AGO highlights the incredible architecture native to the city. The Hotel Novotel Toronto Centre is a contemporary, convenient and full-service choice for your wedding day. The hotel is close to the downtown tourist hot spots and offers several amenities, such as guest rooms, room options for all size events, a pool, and a spa. This is a great choice to show your guests what the city has to offer. Guests coming from afar can also enjoy attractions like the CN Tower, Ripley’s Aquarium, Hockey Hall of Fame, the ACC and Centre Island during their stay. Palais Royale has been one of the most popular wedding venues in Toronto since the early 2000s. There are indoor and outdoor options, in the main ballroom or courtyard patio, and gorgeous views of Lake Ontario. Palais Royale has the benefit of modern design, custom packages and proximity to High Park – picture opportunities galore! Outdoor ceremonies in the courtyard, overlooking the lake, are particularly beautiful. The Fairmont Royal York is Toronto’s most famous hotel for a reason. Exceptional service, grand ballrooms, and an ideal downtown hotspot: this is a choice that ticks all the boxes. There is no end to your options here, whether you’re hosting a small affair or a fairytale gala. Take note of the main ballroom and its oil-painted ceiling. The Fairmont Royal York is for those seeking luxury and sophistication for their wedding. The best photo location is the one that is most-meaningful to you. Do you have a special place that you frequent? How about the place where you met your fiancé? The place where you proposed? What about the place where you had your first date? Maybe you love architecture, the urban jungle and graffiti art? How about nature and park? I encourage all my couples to start thinking about what they love in a location. I could recommend the closest park to my studio and make it easy for me, but that's not what it’s about. It's about finding the right spot for your story. I have photographed in some cool places and they were all perfect for my clients. For example, Dina and Geoff met in high school. They contacted the school and we photographed their engagement session after hours. 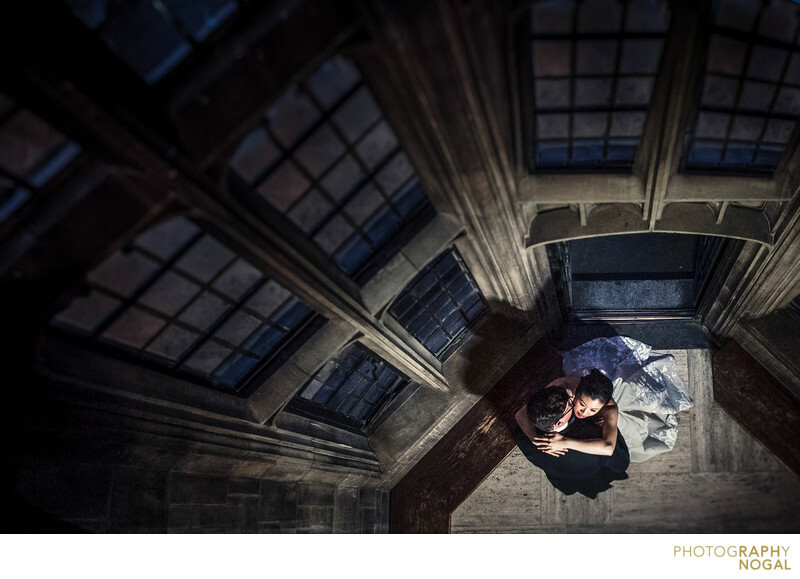 How amazing is it that we could incorporate their story right into their engagement session? Theresa and Mike love music and both play instruments. 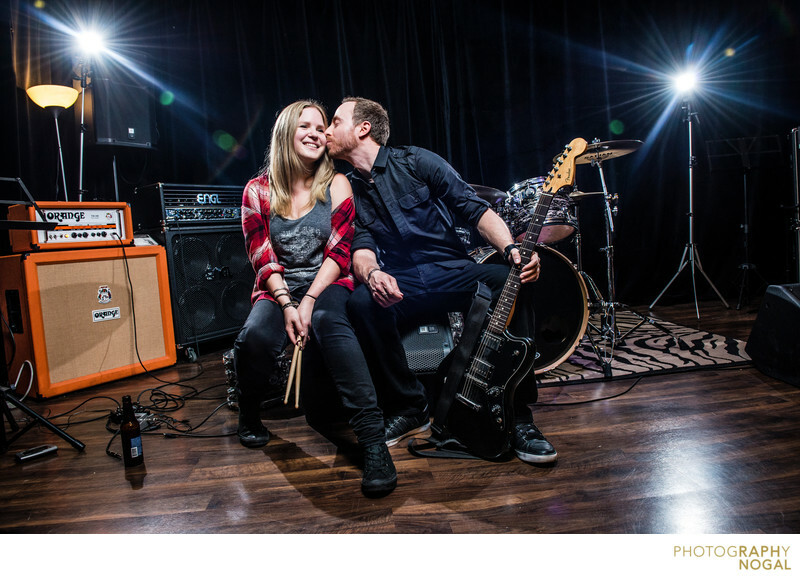 For such a rock-and-roll couple, we needed a photoshoot to match. We rented the Rehearsal Factory on Richmond Street, and photographed them jamming out on drums and guitar! Rock on! 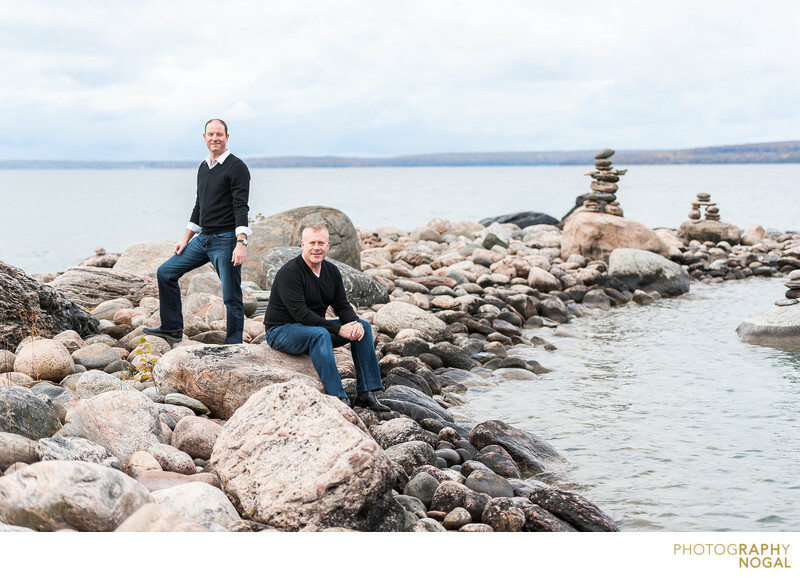 John and Robert love spending time at their cottage, so naturally we spent some time with them at their favourite place by the lake. 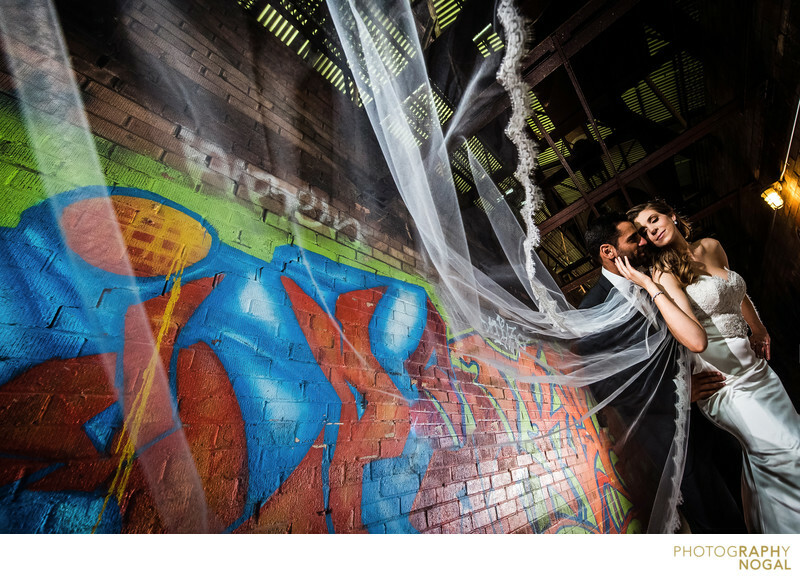 If you are struggling to find the right location for your engagement shoot or wedding, our list should help get you started. This list contains only some of the many options within Toronto and the GTA. Give us a call for even more ideas that fit your style. Much like Oakville, Burlington offers a rich selection of wedding locales. A high-end downtown and stunning lakeshore make for beautiful ceremonies and perfect photo backdrops. Hamilton, Ontario is quickly gaining a reputation as a creative, urban hub for young professionals. Your venue options in the area reflect this style too.